11th June 2015. The Doha Metro marked a major milestone at 9.08am on Thursday when Al Mayeda Tunnel Boring Machine (TBM), one of the 21 such units assigned for the project, made a historic “breakthrough” at the main interchange station at Msheireb. “Al Mayeda, belonging to the Doha Metro Red Line, was launched at Al Khasa station at the Corniche head of the Red Line North segment in November 2014 and completed 2.2km of tunnelling,” Qatar Railways Company (Qatar Rail) deputy CEO and senior engineer Hamad Ibrahim al-Bishri announced. A total of 30km of tunnel has now been completed out of a total of 113. 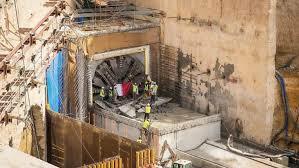 All Qatar Rail TBMs are on track to complete the tunnelling phase by 2017. A total of 30km of tunnel has now been completed out of a total of 113. When Qatar Rail last reported progress in April, the figure was 18.5km. The makeshift platform, from where the Qatar Rail officials and journalists watched the first “breakthrough’’ at the Metro’s main station site, was erected at least 30m above the massive excavation site. The breakthrough suffered three days delay as the TBM unexpectedly encountered a water source which had to be dealt with properly and safely prior to its appearance into the open air at Msheireb. While terming the arrival of the TBM at Msheireb as a major success, al-Bishri thanked all those who worked for the achievement and also others who are working tirelessly to realise the dream Metro project on schedule. “Over the past year, Qatar Rail and contractors have achieved some notable successes as part of the Doha Metro project,” he recalled. “Mining through different ground layers, that vary constantly, under highways and road facilities with a large diameter TBM is a feat in itself. The short delay towards the end showed how unpredictable our work can be sometimes and how important are the skill and expertise of our engineers and quality of their planning,” the official observed. Having completed the stretch, Al Mayeda TBM would now be transported to Al Qassar Station, also in Corniche, where works are beginning soon. 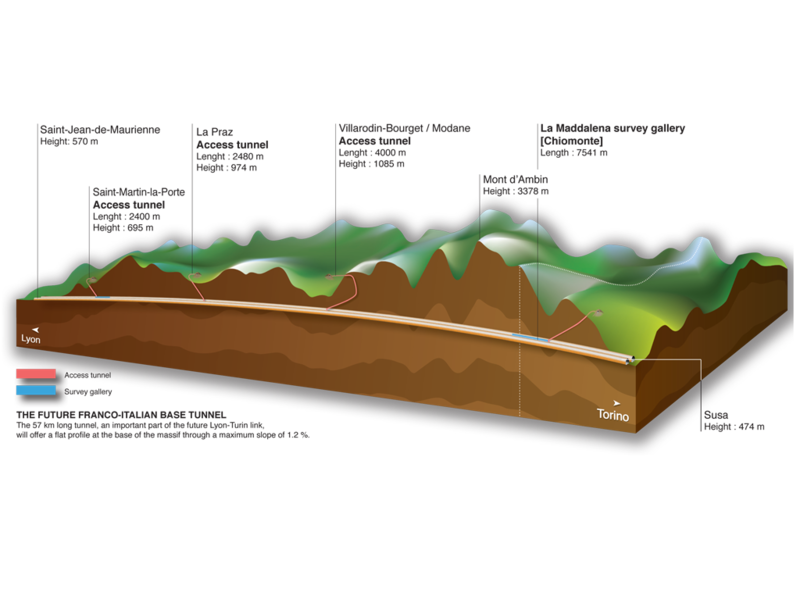 The entire tunnelling phase is expected to be over by mid-2017. While hoping that the digging works would continue in the same or even greater speed in coming months, Doha Metro Red Line North (Underground) project director Gerhard Cordes said there were several major challenges lying ahead for the personnel involved in the Metro development. “The speed of the TBMs may vary from time to time, depending on the ground conditions and the topography of each place through which they pass,” he explained. Inquiries with Qatar Rail officials found the other TBM working simultaneously on the route has reached somewhere in the Grand Hamad area and may enter Msheireb work zone in the beginning of September. The officials also hoped that 10 other TBMs engaged in digging duties from different ends such as Villaggio (Gold Line), Rayyan South (Green Line South) and Wakrah (Red Line South) and similar areas would reach Msheireb site in the next two years, one after the other. “Excavation works are going on at Msheireb site at places lying anywhere between 20 and 35m underground,” Richards said. The entire construction at Msheireb, which would serve as the major interchange for all four lines, is expected to be over in the last quarter of 2018.